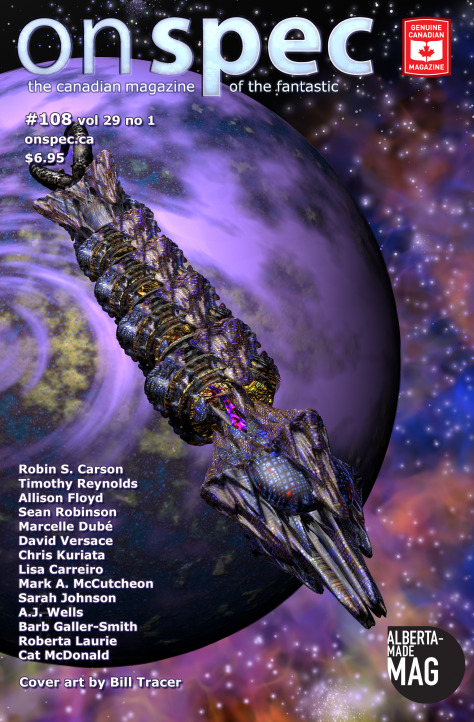 “A Fire Across the World” is my short story of Great Game-era spies, mad scientists and supernatural reincarnation, now available in On Spec 108 (Volume 29, Issue 1), the Canadian magazine of the fantastic. This is probably most most-edited story ever, having been completely rewritten after a detailed critique by Rob Porteous, developmentally edited by Darren Goossens, and finally tighetened again by On Spec editor A.J. Wells. It’s also action-packed and conceptually bonkers, though to say why would be a spoiler. It was fun to write, though. The issue will be sold digitally through Weightless Books (the current issue isn’t up yet at the time of writing this post but it should be soon) or you can subscribe for physical copies directly from the On Spec website. This entry was posted in Announcements and tagged a fire across the world, on spec magazine, publication, short story. Bookmark the permalink. It seems a long time ago. I think it was about two years ago when we worked on it, wasn’t it? That’s a long time!